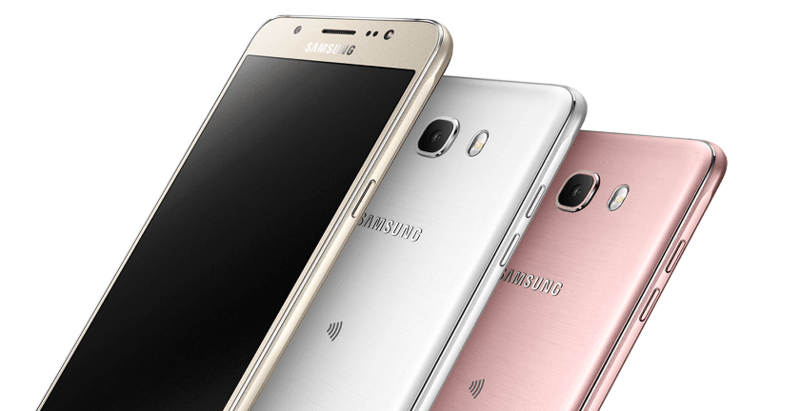 Samsung finally launched its Galaxy J5 (2016) and Galaxy J7 (2016) smartphones in India at Rs. 13,990 and Rs. 15,990, respectively. Both the devices were first announced in China in March. The devices come with selfie-centric camera features and are successors to the Galaxy J5 (2015) and Galaxy J7 (2015). Both the smartphones will be up for sale on Flipkart, starting from today (midnight). They will be available in White, Gold, and Pink color variants. As an inaugural offer, Airtel is offering 6 months double data offer on the purchase of these devices. Both the devices do not have anything groundbreaking in terms of specs and design. However, the Samsung Galaxy J series of smartphones are defining a mid-range segment for those who want to own a Galaxy device but are not willing to go for high-end flagships by Samsung. These variants are the ones that Samsung unveiled in Korea, last week. The Galaxy J5 (2016) features a 5.2-inch display with a resolution of 720×1280 pixels and is powered by a quad-core Snapdragon 410 chipset clubbed with 2GB of RAM. While the Galaxy J7 (2016) bears a 5.5-inch display with a resolution of 720×1280 and comes powered by an octa-core Exynos 7870 SoC paired with 3GB of RAM. Both the devices are equipped with a 13-megapixel primary camera with LED flash, along with a 5-megapixel selfie camera with LED flash, which is touted by Samsung to capture great selfies. On the connectivity front, both the smartphones boast 4G LTE and dual-SIM support. Similar to the J3 (2016), these two also come equipped with the “S Bike mode” along with “Ultra data saving (UDS) mode”, which is powered by Opera Max to compress data usage. Does the phone have all the 4g bands . Plz confirm if It supports 700 mhz. Please do not just copy paste instead be know what is the real specs rather than giving fake infos. Glad that you have corrected.